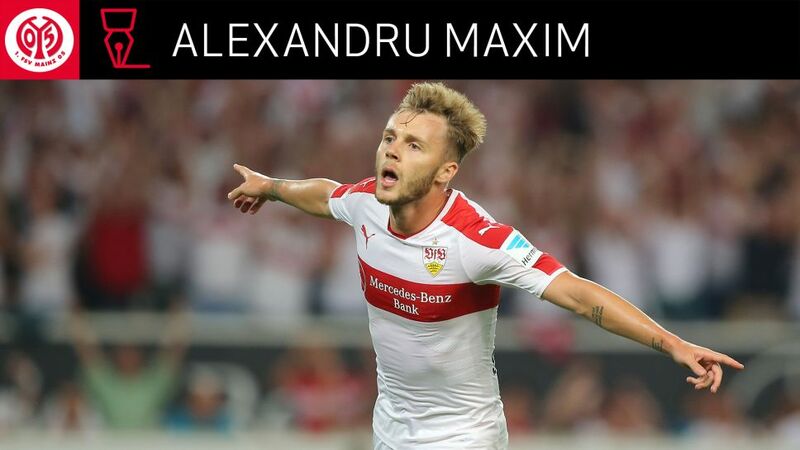 Romania international midfielder Alexandru Maxim has joined Mainz from promoted Stuttgart. The 26-year-old has signed a four-year deal through to 30 June 2021. "Alexandru Maxim is a classic number 10," explained Mainz sporting director Rouven Schröder. "The ball is his friend, he's confident in one-on-one situations, he can create space with his dribbling and is dangerous from set-pieces. "He's also got a good feel for running the lines. He will only enhance our squad." Maxim joined Stuttgart from Romanian side Pandurii Targu Jiu in January 2013. He got his first taste of Bundesliga football a month later, and went on to make a further 130 appearances in all competitions for the south-west club. The former Espanyol youth player registered five goals and seven assists in 25 Bundesliga 2 outings over the course of last season's promotion-winning campaign. "I had a fantastic time during four-and-a-half intensive years at VfB," Maxim said. "The club and the city mean a lot to me, they'll always have a place in my heart. The same goes for the fans, who have always got behind me. "However, the time had come for me to think about furthering my career. I decided to take on a new challenge at a new club, and I'm happy that, together with VfB, we came to this resolution."